It all triggered with the morning visit to Mother Dairy today. I saw a gentle man putting a white hanky on his head as he approached a small gurudwara. A very small gurudwara which might as well resemble a house. He closed his eyes and stood there at the gate for few moments. The faith that I saw he had in god, and the faith in that minute he spent there was overwhelming. I have waited many times outside temples for my friends offering prayer inside, or waiting in queue [temples around Jama Masjid attract huge crowd] for their turn to offer prayer. Generally this happens on Tuesdays. I don’t have any issue getting inside an have a word with almighty, but I enjoy more waiting outside, I get the delight to watch! Last Tuesday, I saw Prateek standing quietly with closed eyes and folded hands, as I waited outside. The innocence on his face and the faith that the situation exhibited was enough for me get that rare standard emotion, “I wanna die here.” That’s how I felt when I saw Darjeeling for the first time or when I saw river Ganga in Rishikesh. These feelings are inexplicable by a word but I would like to coin a phrase, “eastern purity”. This is what I find most appealing about Asia and more so about India. The mandir, the masjid, the ganga, the flute, the Hindustani classical music, the morning, the sitar, the feminism – all these go into formation of ‘eastern purity’. Everyday, I see some lacunae around me to crib about India. But whenever this sense of ‘eastern purity’ prevails over my head, all cribbing fade away. I have written enough lecture about road discipline, humanity, cleanliness etc., etc., so let me not bore you with the preaching. I will write now of sports, particularly my misadventure with sports. First a confession: I have no interest in cricket what so ever. I can’t even list the 11 players of Indian team and this has always been a constant source of embarrassment, more so when girls discuss about certain match and I am dumb. Hence, I have been accused at time of not being a true Indian. As I grew up, I would try to go to park with another set of kids, as our home was shifted. While fielding I always used to pray that ball should not come to me, because when I would try catch ball, I would get to hear this from you, “you think ball is gonna lovingly come to your arms, why don’t you move.” I think I was little like Rohan Awasthi of Taare Zamin pe! By the time I was in class 8, I was too conscious of that disapprobation administered to me! So I stopped playing cricket. Forever. But later when I was in college, I had really awesome friends (read ramjane , kumar!) who would invite me to play and give me batting. I would be invariably bowled out in a maximum of 3-4 balls. I had much fervor for batting until recently; I would trade with kids near my home the kites that land on my roof, for chance of batting. Oh my god! 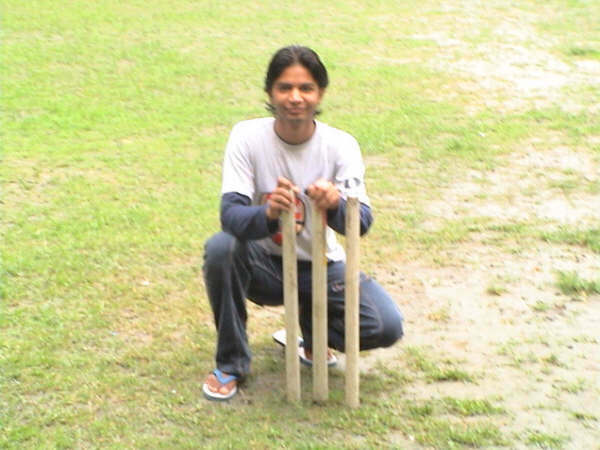 I just revealed to you guys that I don’t know flying kites either..
Okhay enough of dhoni and ganguly.. In school, I attended coaching for sometime, and most of the times, coach would exhaust me in the warm up itself. But things changed dramatically when I went into college, I thought that now I m in the best college in the country, what more do I want. 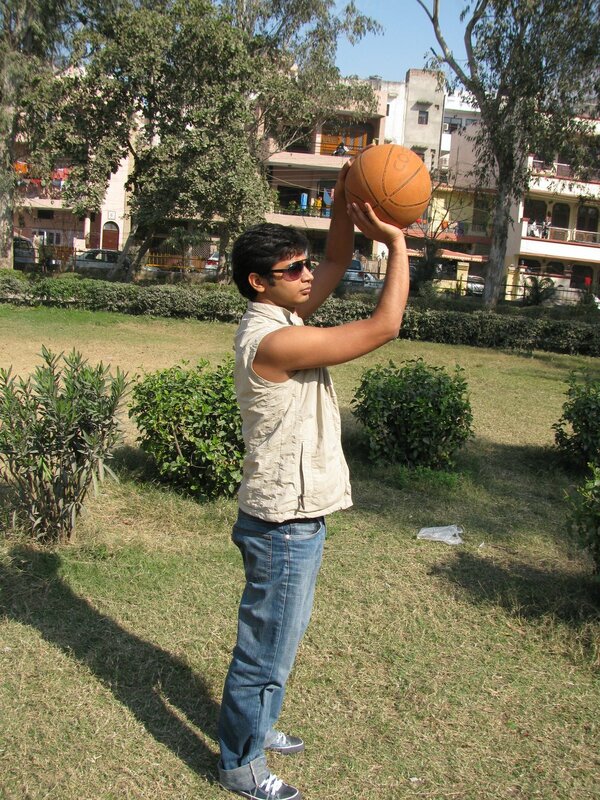 Now I will do everything and anything I like, one of them being basket ball. So I was there on court on 3rd day in college, without fear of ragging! I was sincere at practice, would come to court at correct time. One day we were playing zone defence. I was playing centre, when suddenly the coach came on me and said, “what the hell are you doing, you don’t have brains ? You think by jumping like monkey, you can bloc the offence” and little more he said. You guys might be thinking I was this close to tears, but I actually was very close to bursting into pearls of laughter, but that wasn’t visible on my face which was inexplicably grim at that time. So seniors told after the coach left, ‘kid is finally ragged’. Of all the sports I liked basket ball most, but somehow couldn’t be regular , may be because wasn’t doing good at it. Once in several matches I would get to shoot, mostly I would pass the ball, but sometimes I would become selfish and attempt, and very rarely those will convert into basket, and those ephemeral moments would drive me for the next few days. In my 7th semester, I made it to waiting list of team! I was very happy as that mail containing the list for Inter IIT basket ball team players was sent to all. But the wait turned out to be eternal as none of the permanent players fall ill before tournament. I took up athletics in college only. In fact I was never more serious about sports than in college. 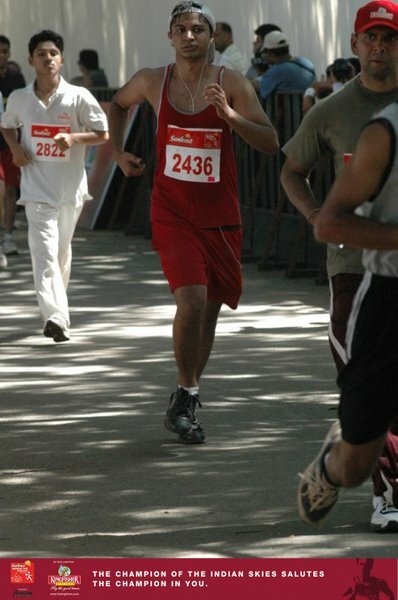 I worked for long jump, and 100 metres, again for the annual Inter IIT sports Meet. As far as physical efforts were considered, the task was quite demanding, and I was putting my best foot in. finally I the day of selections came, I borrowed my friend’s boots. I missed tutorial class to attend the selections. But could not measure up to the coach’s expectations, so was told, “try next time… goodluck” and walked back from that vast athletic field. Before attainting myself anymore, I will conclude, I have had been an outstanding sports man, I mostly stand outside the team .